Konrad is a Consultant General Surgeon, Colorectal Surgeon, and Surgical Oncologist at Southland Hospital with specialist training and extensive experience in upper gastrointestinal and colorectal surgery, endocrine surgery, advanced laparoscopic techniques, and palliative medicine. After finishing Medical School in Germany in 1991, and his first three years of surgical registrar training at an Academic Teaching Hospital he undertook a three-year Postgraduate Research Fellowship at the Arkansas Cancer Research Centre in Little Rock, Arkansas/USA. It provided the basis for his Ph.D. theses in “Molecular and Experimental Radiation Biology.” After further surgical training at the University Friedrich-Schiller in Jena and his exit examination in 2001 in General Surgery, he completed an additional three-year specialty Fellowship Training in Surgical Oncology, Upper Gastrointestinal and Colorectal surgery and Endocrine surgery. He came to New Zealand in 2007 just for a one-year locum position together with his wife and three of his four children. For the last 12 years, he has worked in New Zealand as Consultant General, Colorectal Surgeon, and Endocrine Surgeon. And Senior Clinical Lecturer of the Dunedin School of Medicine. 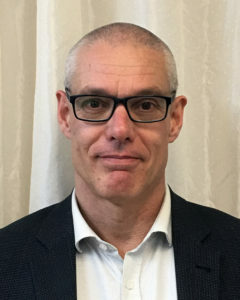 He became a Fellow of the Royal Australasian College of Surgeons (FRACS) in 2012, and in 2015, he was promoted Clinical Associate Professor at the Dunedin School of Medicine at the University of Otago. When he can get away from the hospital, he is busy with his kids and likes to play classical guitar and chess. He loves the outdoors, fly-fishing, hunting, hiking, biking, and swimming. He became a PADI and SSI dive instructor and enjoyed exploring the wonderful water world of Fiordland and the Foveaux Straight. The mesh-free SHOULDICE repair for inguinal hernias has demonstrated continued success for more than 70 years as practiced at the Shouldice clinic in Toronto, Canada. Recurrence rates around 0.2 to 2.6%, infection rates of around 0.3% and chronic pain rates of 0.6% after 10 years are reported. A recent study from the University of Toronto reviewed 235 192 patients over a 14-year period found that the risk for recurrence for a Shouldice Hospital patient was 1.5% compared with 4.79 – 5.63% at all other hospitals. If those data are correct, why is the SHOULDICE repair not more popular throughout Australia? Is chronic groin pain enough appreciated in follow up studies? Should the SHOULDICE repair be part of the armamentarium of the modern General Surgeon; with the increasing publicity of mesh-induced complications? In this presentation the SHOULDICE repair is demonstrated and surrounding controversial issues are discussed.